3 bedroom / 2 bath newly remodeled Ranch-style home in the beautiful Brandywine subdivision. The kitchen boasts brand new stainless steel appliances, and the bathrooms have been remodeled. Brand new interior paint throughout the home and new carpet in the main floor bedrooms. Beautiful laminate floors and tile in the main level. Enjoy the new deck with room for outdoor furniture and a grill overlooking a private fenced-in yard perfect for entertaining. Family room or “man cave,” third bedroom, and laundry facilities/hook ups located in the finished garden level basement. 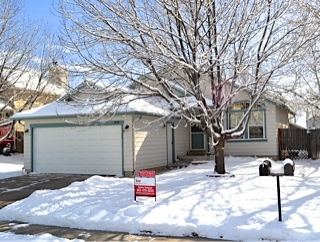 The house sits in a quiet cul-de-sac with mature trees, very close to shopping, Paul Derda Recreation Center, and Broomfield Commons. This immaculate home is ready for you to move in. ← Who is programming you?